NEW YORK  Aaron Rubashkin, the owner of the embattled kosher slaughterhouse Agriprocessors, denies he has engaged in unethical labor practices and blames the failure of US immigration policy for his mostly illegal workforce. In the first substantive comments by an Agriprocessors representative since the government rounded up more than a third of its employees on immigration charges in a May 12 raid of its Iowa plant, Rubashkin flatly denied allegations of worker mistreatment and plant mismanagement. Everything is a lie, Rubashkin told JTA. 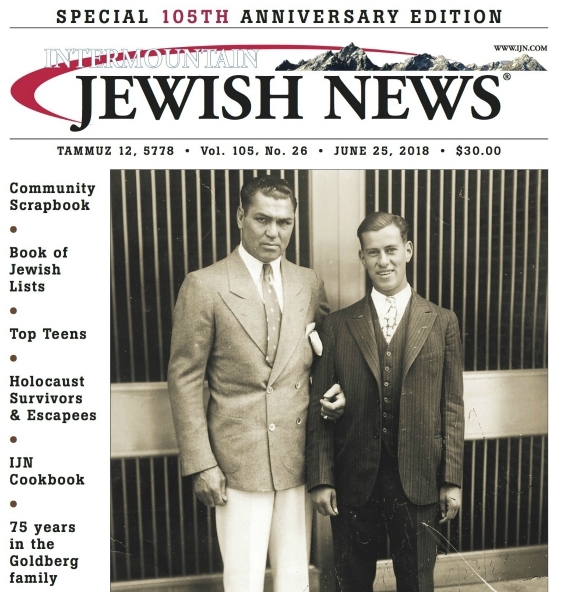 In a more than hour-long interview May 30 outside his Brooklyn butcher shop in the heavily Orthodox enclave of Borough Park, the 80-year-old Rubashkin was visibly angered by the flood of charges that have imperiled his business, the countrys largest kosher slaughterhouse. The raid has reduced Agriprocessors output significantly and sparked fears of a national shortage of kosher meat. A government affidavit cites claims that the drug methamphetamine was being produced at the companys Postville plant, that undocumented workers were paid $5 per hour and that a Jewish kosher supervisor duct-taped a workers eyes and abused him with a meat hook. In the weeks since the raid, workers have also charged that female employees were offered improved working conditions in exchange for sexual favors and that underage workers were employed at the plant in defiance of Iowa labor laws. Dressed in a blue cotton shirt and black fedora, Rubashkin acknowledged that he was concerned the company may be brought up on criminal charges, but said he was a hundred percent confident that he would prevail in court. I believe in the American system, and I did nothing wrong, said Rubashkin, who opened his shop in 1953, the same year he emigrated from Russia. Asked why he was replacing his son Sholom as vice president if the charges are phony, Rubashkin threw back his shoulders and arched his eyebrows. Rubashkin emphasized that the management change was for the sake of the company, not for the people. We treat people  I wish everybody should be treated like we treat people, he said. Agriprocessors sells meat products under various labels that include Aarons Best, Rubashkins, Shor Habor, Iowas Best Beef and Supreme Kosher. Federal authorities have not brought criminal charges against the company or its executives. The bulk of the accusations, particularly those concerning worker mistreatment, remain unsubstantiated. But nearly 300 former employees have pleaded guilty to various forms of fraud involving fake work documents and are facing deportation. The affidavit cites claims that Agriprocessors had assisted workers in securing false documentation. Rubashkin denied underpaying his workers, saying that all new hires start at $8.60 per hour  above the federal minimum wage of $5.85, that workers are paid time-and-a-half for overtime and that they are provided with paid vacation and health care. He further said he had no idea that his workers were illegal and that they had produced what appeared to be legitimate work documents. The affidavit states that Agriprocessors received five separate notices from the Social Security Administration of 500 Social Security number discrepancies. Rubashkin also had harsh words for the media, which he mockingly referred to as the free press and twice compared to the Soviet, state-run media. A lynching press, he called it. He accused the media of harping on the negative and ignoring the good he has done for the Postville community. Rubashkin said he offered full medical coverage to workers and their families, paid for cancer treatments for sick workers at the renowned Mayo Clinic 100 miles to the north and helped set up a day-care center for the children of employees. Rubashkin sees himself as a victim of an immigration system that Washington has steadfastly refused to fix. He has bitter words for the Jewish social justice activists who have spoken out most vigorously since the raid. The Conservative movement has urged kosher consumers to consider whether they should purchase Agriprocessors products, while Uri Ltzedek, a social justice initiative launched by liberal Orthodox rabbinical students, circulated a petition threatening a boycott of the company. Long prominent in the Chabad-Lubavitch movement, Rubashkin was interrupted several times during the interview by well-wishers, including a bearded man who used a Hebrew expression to wish Rubashkin success in his business. And while the butcher himself was loath to speculate on why he was being singled out, his customers were not so reticent. Its only anti-Semitism, said a woman who identified herself only as Esther, as she wheeled a half-dozen Rubashkins bags to her vehicle. Esther compared Rubashkins plight to that of Jonathan Pollard, the former US Navy intelligence analyst who was slapped with a harsher sentence  life imprisonment  for spying for Israel than others who had spied for enemy states. Everything is the same, Esther said. Other customers offered different theories to explain the controversy swirling around their longtime neighborhood butcher. Though their explanations differed, all agreed that they would continue to patronize Rubashkin, even if the charges against him were proved to be true. The Orthodox Union, by contrast, one of two kosher certification agencies supervising Agriprocessors, has said it would withdraw supervision if charges are brought against the company. Unlike his customers, Rubashkin refused to endorse the anti-Semitism thesis as the explanation for his troubles  but he didnt seem entirely unconvinced, either. Several times he invoked classical anti-Semitic canards, like the infamous libel that Jews used the blood of Christian children to bake matzah, to underscore what he sees as the baselessness of the claims against him. We got a big mess, no question about it, he said. Search the IJN using the term Agriprocessors, and find all of our stories tracking this landmark case in the kosher meat industry.